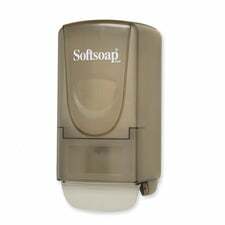 A strong, durable dispenser features minimal moving parts and a large window area that indicates when it's time to replace the soap cartridge. Easy to reload. Each refill cartridge has its own tip so no need to worry about dirty tips, drips or clogs. Refillable.